DENVER, Colo., March 1, 2017 (SEND2PRESS NEWSWIRE) — Maxwell, the emerging leader of digital mortgage automation software, announced today that it has been recognized as one of HousingWire’s TECH100™ for 2017. The HW TECH100™ is a list of the housing economy’s 100 most innovative companies. It is the only list of its kind that evaluates tech innovation across the entire U.S. housing economy, spanning real estate to mortgage lending, servicing, and investments. Maxwell was nominated for its point-of-sale and workflow automation tool for loan officers and their borrowers. Built by engineers and designers from Silicon Valley, the cloud platform empowers loan officers and their teams by intelligently automating their collaboration with borrowers and real estate agents during the mortgage process. Using Maxwell, mortgage companies increase the capacity of their origination teams, closing loans over 45 percent faster. For more information on the HW TECH100™ award and the full list of honorees: http://www.housingwire.com/articles/39311-the-2017-hw-tech100. HousingWire is the nation’s most influential industry news source covering the U.S. housing economy, spanning residential mortgage lending, servicing, investments, and real estate operations. The company’s news, commentary, magazine content, industry directories, and events give more than one million industry professionals each year the insight they need to make better, more informed business decisions. Winner of numerous awards, including a 2012 Eddie Award for national editorial excellence in the B2B Banking/Business/Finance category, HousingWire has been recognized for excellence in journalism by the Society of Business Editors and Writers, the American Society of Business Press Editors, the National Association of Real Estate Editors, and Trade Association Business Publications International. 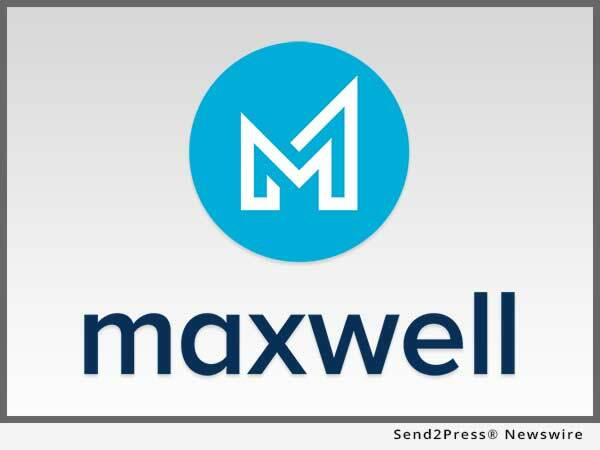 Learn more at http://www.housingwire.com/..
Maxwell empowers mortgage lenders to be more connected, productive and successful by intelligently automating their workflow with homebuyers and real estate agents. The platform is used by lenders nationwide to serve their customers. Founded in 2015, Maxwell is a member of the Mortgage Bankers Association and is proud to be built in Denver, Colorado. "There's no question that thoughtful technology is changing the way mortgage companies originate loans," said Maxwell CEO John Paasonen. "I'm incredibly proud of our team for this recognition of our dedication to augmenting human ability with software." Maxwell Financial empowers mortgage lenders to be more connected, productive and successful by intelligently automating their workflow with homebuyers and real estate agents. The Maxwell platform is used by loan officers nationwide to serve their customers. Maxwell is proud to be built in Denver, Colorado, and is a 2016 graduate of Techstars, the leading global technology accelerator.